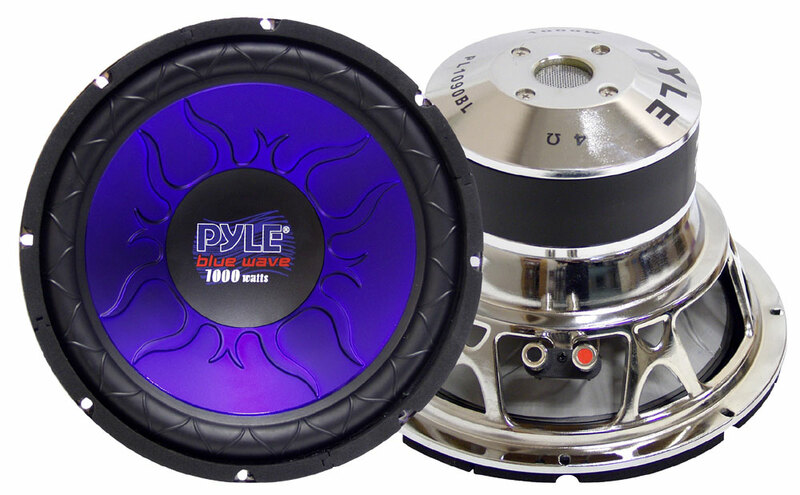 The Pyle 12'' Subs are built to add rounded solid bass to a system with unique looks and great response. The cone is very lightweight and stiff whilst the non fatiguing rubber surround provides good extension and control. The basket is strong and the vented pole piece ensures good heat dispersion for a long driver life. 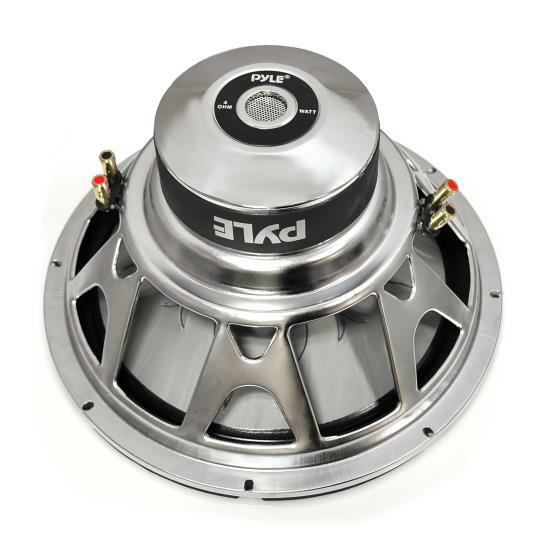 Dual 4 Ohm coils with silver plated connectors provide multiple amplifier setup options for best sound quality. 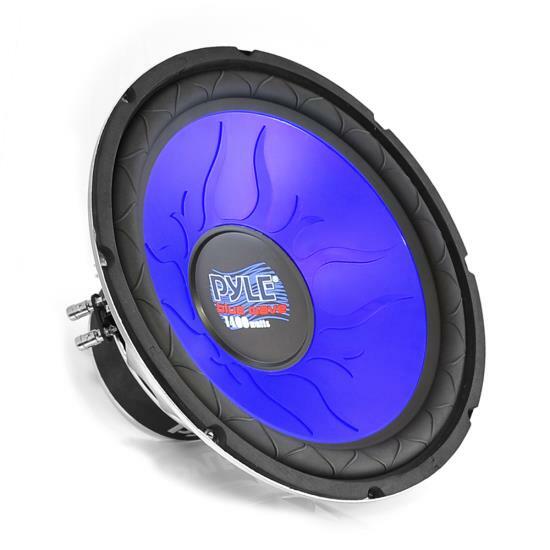 Amp Requirements: The Dual 4 Ohm Coil mean the best amp to power one of these is preferably a Mon block - a powerful bridged 2 Channel Amp or the two rear channels bridged on a powerful 4 Channel Amp will also work, if wired carefully. 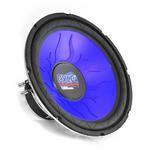 Minimum 300w RMS is advised - many people do not realise under powering a speaker will kill it very quickly! 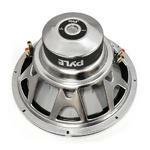 It will run very happily on 450w RMS and will take up to 600w RMS without problem.